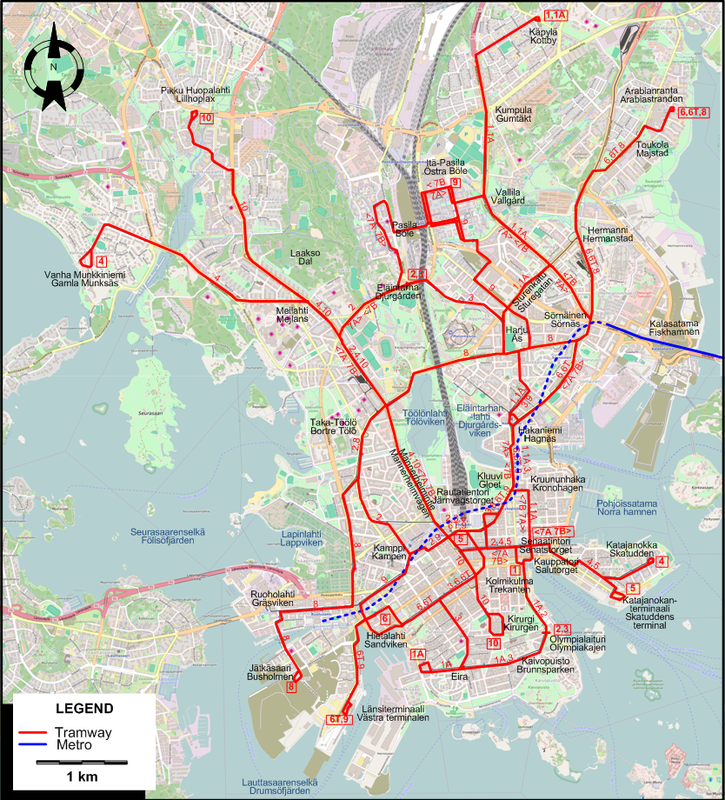 The Helsinki tram network after the renaming and modification of route 4T as route 5. Urban tramways: (horse-drawn) 21 June 1891 - 1901; (electric): 4 Sept. 1900 - today. Metro: 2 Aug. 1982 - today. 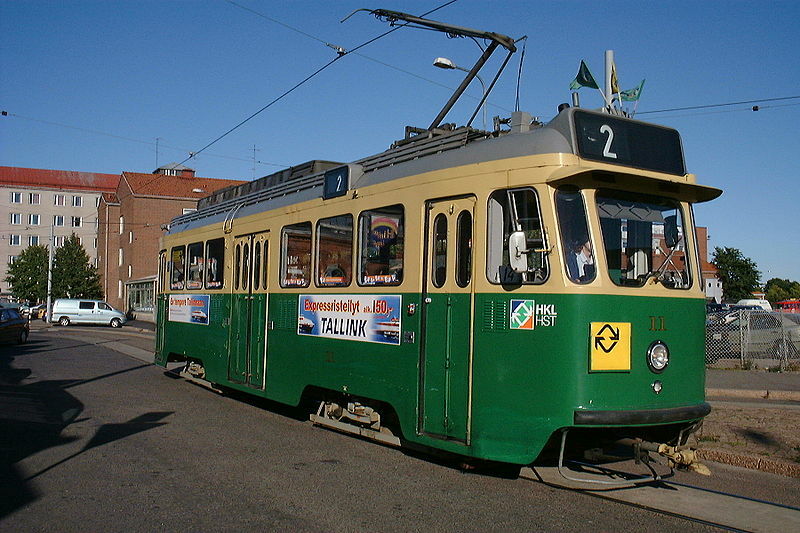 There is a Helsinki Tram Museum. The organization Stadin Ratikat runs vintage trams on city tracks. 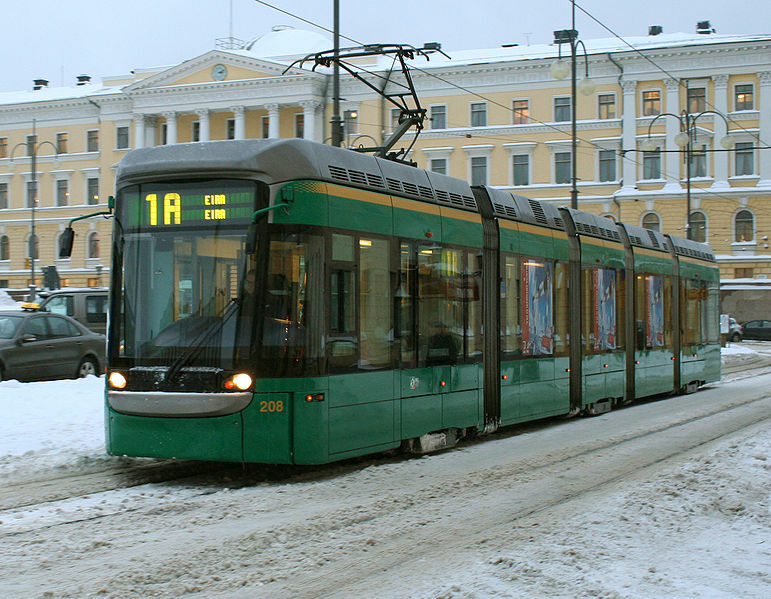 Pulling, N. "Systems Factfile No.88: Helsinki, Finland" Tramways & Urban Transit, Jan. 2015 (78:925), p.31-36. 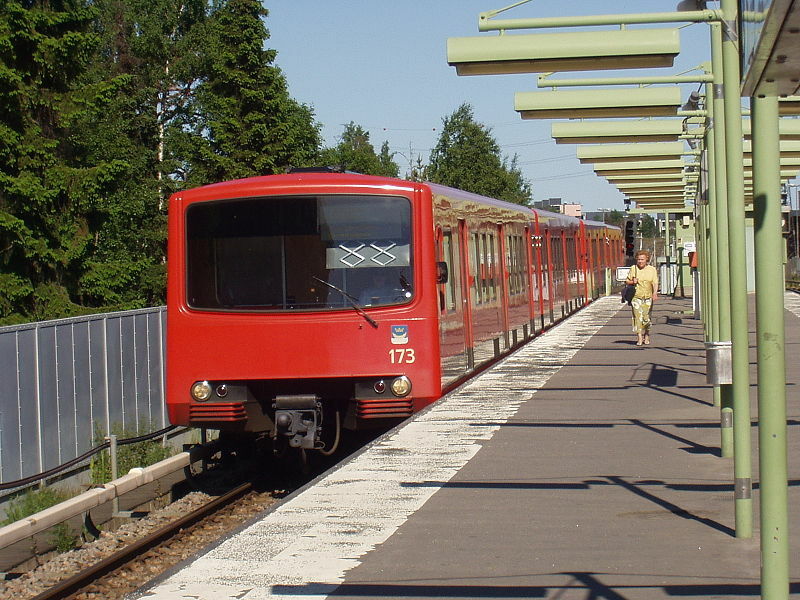 Rauhala, J. 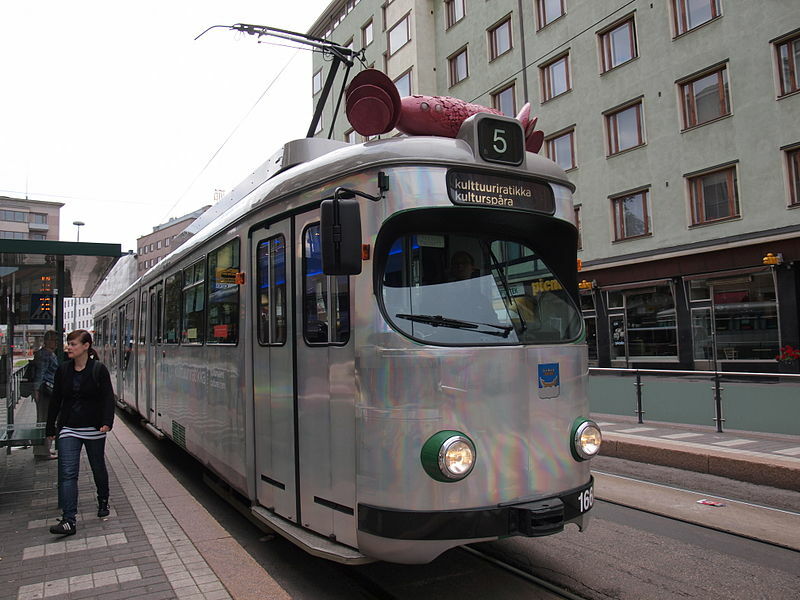 "Helsinki: Visitors provide a helping hand", Tramways & Urban Transit, Dec. 2006 (69: 828), p.464-465. Rice, W. & Rauhala, J. 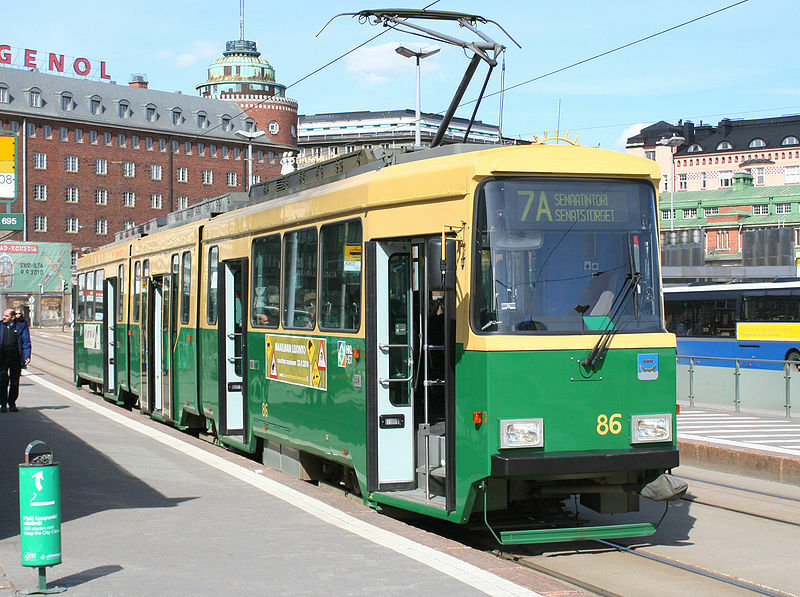 "Helsinki: Expansion is on the horizon", Tramways & Urban Transit, Sept. 2002 (65: 777), p.338-339.